The dried fish parts don't look like much to the novice eye, but the totoaba swim bladders discreetly displayed in this shop in Guangzhou, China sell for up to $20,000. Half a world away, off the coast of Mexico, poachers battling each other for this "cocaine of the sea" are using drug cartel-like tactics to get it—pushing two species toward extinction and leaving ordinary fishermen fighting to survive. The lucrative black market for totoaba swim bladders—prized in Chinese traditional medicine for their purported healing and beautifying properties—have turned the Gulf of California into a battleground, criss-crossed by armed poachers, Mexican navy vessels and environmental activists patrolling with pirate flags. The casualties of this war include not only the critically endangered totoaba, but also the world's smallest porpoise, the vaquita marina—of which just 30 remain, according to scientists—and local fishermen caught in the middle. Mexican authorities say the vaquita has been virtually wiped out by totoaba fishing, because it gets stuck in the same kind of net. Known as the "panda of the sea" for the distinctive black circles around its eyes, the porpoise has become a cause celebre for the likes of Leonardo DiCaprio and Mexican billionaire Carlos Slim. Three years ago, the Mexican government declared a ban on fishing in a 1,300-square-kilometer (500-square-mile) area off the coast of San Felipe, a fishing community that depended on the industry for 70 percent of its economy. "They want to make San Felipe a ghost town," said Omar Solis, a shrimper who bought a catamaran and is now trying to reinvent himself as a pleasure cruise operator for tourists. 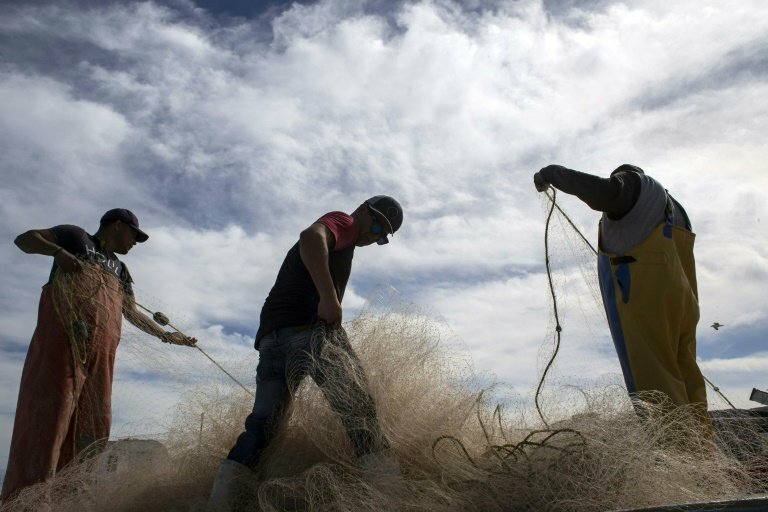 Solis, 42, warns other ex-fishermen will likely end up as totoaba poachers.